PADI Open Water Scuba Instructors and PADI Assistant Instructors are the most sought-after dive professionals around the world. They've completed the program that sets the standard for training dive professionals everywhere. You earn a PADI Instructor rating through hard work and commitment. You're rewarded with a job that lets you share incredible underwater adventures with others. Transform their lives for the better and enrich yours at the same time. Come to the warm, clear, calm waters of Cyprus for your IDC. Are you ready to join the ranks of the dedicated professionals who teach the world’s most progressive and popular scuba programs? Then Go PRO with an Instructor Development Course. The Instructor Development Course (IDC) consists of two parts. The first is the Assistant Instructor (AI) course. 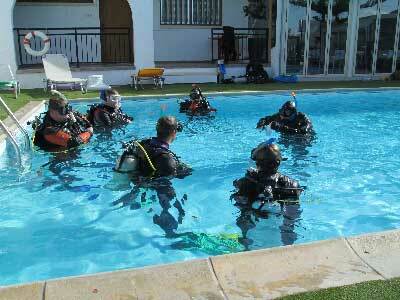 The second is the Open Water Scuba Instructor (OWSI) program. Most candidates complete the entire IDC and go on to attend an Instructor Examination (IE). This is the last step to earning a PADI Instructor certification. If you successfully complete the AI course you will become a PADI Assistant Instructor. When an AI is ready to progress, attending and passing an IDC allows entry into an IE to earn a full PADI Instructor rating. A PADI Divemaster who has been a certified diver for six months may enrol in the PADI Instructor Development Course. At least 60 logged dives to enrol in the IDC and at least 100 dives to attend an IE. A Medical statement signed by a physician within the last 12 month. To be an Emergency First Response Instructor, but you can earn this rating during your instructor training. The IDC teaches you to conduct all PADI core courses. You'll be able to organise and present information, conduct skill development sessions and control open water dives. Basically, you become a better public speaker and get really good at demonstrating skills while watching out for student diver safety. Revise your dive theory using your Divemaster manual and the Encyclopaedia of Recreational diving. This will mean the theory exams will be a breeze. Dive theory is not part of this course because as a Divemaster you should already know it! You can also sign up for Dive Theory Online which is a straightforward review of dive physics, physiology, skills, equipment and environment, plus use of the Recreational Dive Planner (RDP). An Instructor Examination (IE) is a two-day evaluative program. PADI IEs are the same the world over. 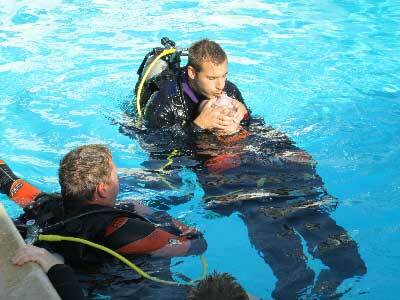 They are conducted by specially trained PADI Instructor Examiners. The location, testing environment and examination sessions are as objective as possible to fairly and consistently evaluate a candidate's abilities. Only those who meet the IE performance requirements earn the respected PADI Instructor certification. There is a fee payable to PADI for attending an IE. To be able to teach a specialty you must be trained in that specialty. The cheapest and easiest way to achieve this is to be trained by a PADI course director. You can elect to become a specialty instructor during the IDC or do one or more at a time at a time that suits you. The following fees are payable by the candidate directly to PADI. These are registration fees only and do not include any training or manuals.